Leesche pays great attention to details of vr machine.vr chair are made of high-quality raw materials and are manufactured based on fine processing technology. They feature high quality, exquisite workmanship, good appearance and great practicality.This good and functional vr machine is novel in design, bright in color, and unique in appearance. It is available in multiple types and is suitable for places such as kindergartens, shopping malls, parks, theme parks, and parent-child playroom. vr application is a safe and quality-reliable product with novel design and good appearance. It is available in a wide range of types and themes, making it versatile enough to meet the diverse market demands.vr chair's advantages are as follow: multiple types, fine workmanship, reasonable price and reliable quality.Compared with other products in the same category, vr application produced by Leesche has the following advantages. 3. Our packing is totally safe, including bubble pack + stretch films + wood frame ( wood box for choice. 360 cinema,vr cinema movies is applied with high quality materials in high grade. 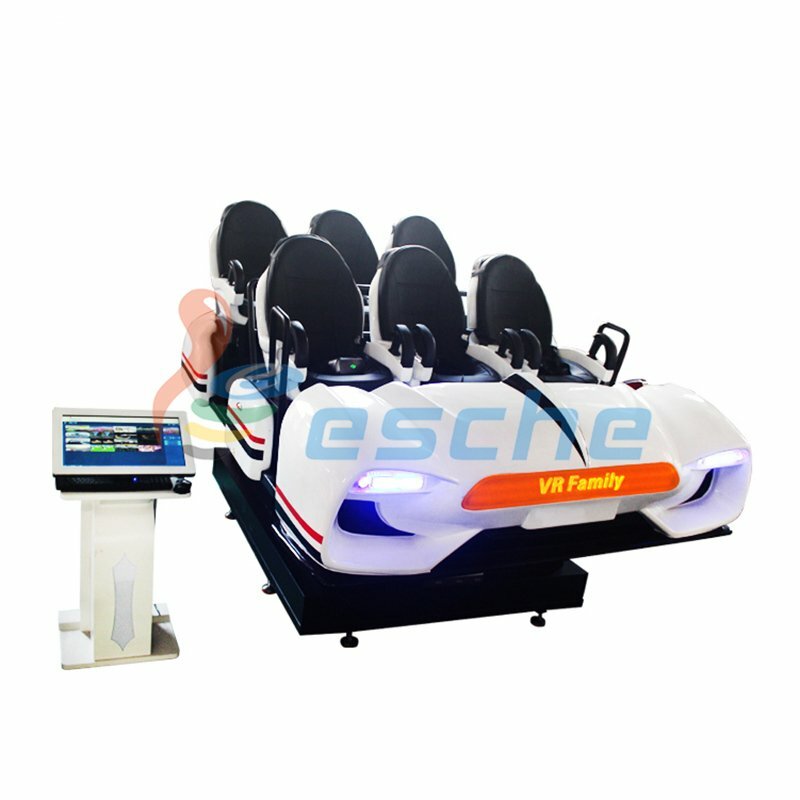 VR Family 6 seats 9d vr cinema is the motion cinema with special effect and vr glasses. After wearing the vr glasses, you can experience not only brilliant movies and sound, but also feel more real with the dynamic platform motions and special effects. 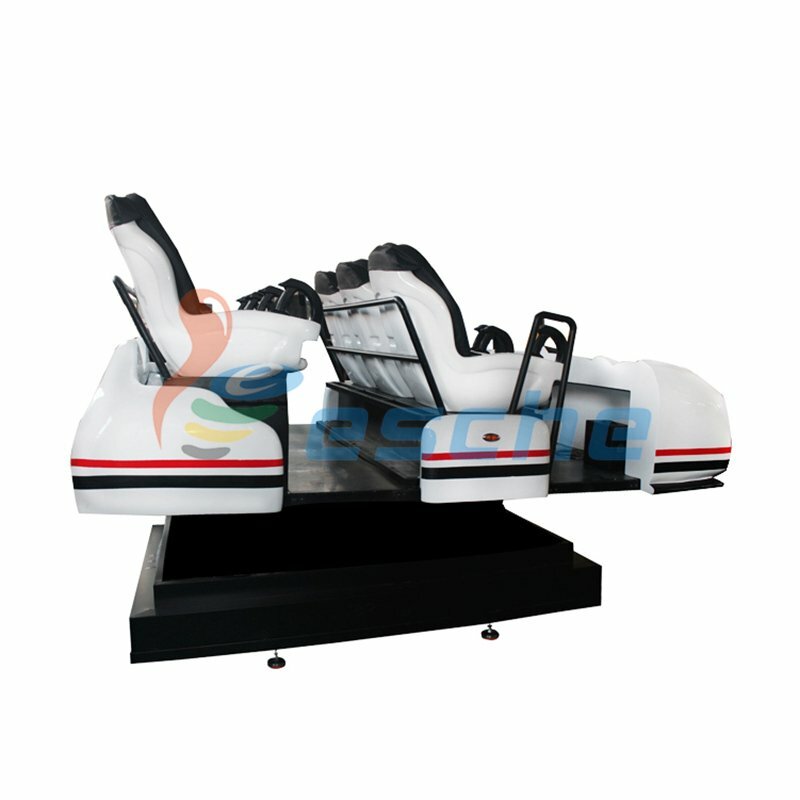 New design model makes it more beautiful and attractive.Six seats 9d vr cinema simulator not only solve the problem about the 5d and 7d cinema’s traditional storefronts and fixed screen dependence, furthermore it break the limitation of audience numbers of the three seats 9d vr simulator. The large flow of customer traffic bring you more profit. Six seats 9d vr simulator not only solve the problem about the 5d and 7d cinema’s traditional storefronts and fixed screen dependence, furthermore it break the limitation of audience numbers of the three seats 9d vr simulator. The large flow of customer traffic bring you more profit. Bionic 125 ° field of view,1080P HD resolution two eyes independently, without dead ends brings you to enjoy the new funny world with real feelings. The moving speed of the cabin from 10mm / s to 167mm / s can be precise regulation, make you free to move in the new wonderful world. Boundless Universal,Endless Ocean,Hail of bullets......Fantasy you ever dreamed of will come true now. experiences Explore every wonderful creation of our world, broadcast the moment at present, predict the future. Choose our 9d vr cinema, you will enjoy Massive free movies ( 360 degree movies). Monthly updates an exclusive production of 9D film, guarantee franchisees consistently profitable! 1. Leesche is an experienced gear vr cinema manufacturer pioneering this market. 2. Guangzhou Leesche Electronic Technology Corp. Ltd has advanced production line and professional R&D team. 3. 9d vr cinema in spain is Guangzhou Leesche Electronic Technology Corp. Ltd original service idea, which fully shows its own superiority. Welcome to visit our factory! Leesche provides OEM and ODM services to worldwide partners. We have strong R&D team and two production bases, which you can trust-in. We guarantee the time to mass production and make sure the low cost of ownership.